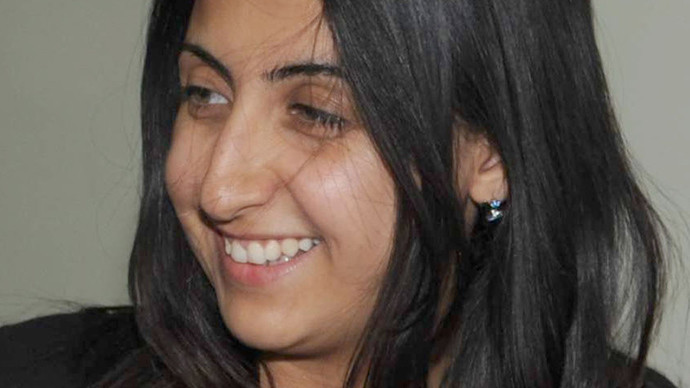 Yara Abbas, a prominent female Syrian war reporter, was killed in the country’s west, Syrian officials confirmed. The country remains a dangerous place for journalists, especially as some rebel groups reportedly target them for assassination. Abbas, 26, who worked for the privately-owned Damascus-based Al-Ikhbariyah TV (Syrian News Channel), was killed by sniper fire in a rebel attack not far from the Dabaa air base. The country’s Information Ministry offered no further details, but the pro-rebel Syrian Observatory for Human Rights claimed that several members of her TV crew were also wounded in the attack. The base is located near the town of Qusair in Homs Province, an area near the Lebanese border that is the site of intense ongoing fighting between the Syrian army and rebel fighters. More than 150 reporters have been killed in the Syrian conflict as of April 2013, the Union of Syrian Journalists reported. The majority of the victims were civilian journalists or local freelancers working for professional media. Outlets that have lost staffers in the violence include French TV station France 2, French magazine Assaut, British newspaper the Sunday Times, Japanese news agency the Japan Press, Qatari TV station Al Jazeera, Iraqi newspaper Al-Thawra and Iran’s Press TV, as well as Syria’s Al-Ikhbariyah TV, Addounia TV and Sana news agency. Reporters also risk kidnap in Syria, as was the case with NBC News journalist Richard Engel and Russian-Ukrainian civilian journalist Ankhar Kochneva. Some rebel groups specifically target journalists who work for government-affiliated outlets and international media, RT reporters were told by colleagues in Syria. “I received confirmed news that some of the armed opposition forces are looking after the journalists working with international TV stations. This armed group is collecting a list of names. Mine is one of them. They are going to collect information about them from the Internet and keep them for future trials or assassination. You know for sure that the websites of RT, CCTV and Iran TV will be the first to be checked,” a local reporter told RT on condition of anonymity. The ongoing civil war in Syria has claimed tens of thousands lives so far, with the UN estimating that more than 80,000 people have died in the violence.